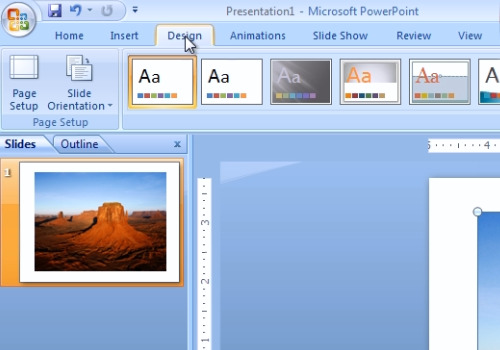 In this video tutorial we will show you how to make a powerpoint slide landscape. Launch Microsoft Office PowerPoint. 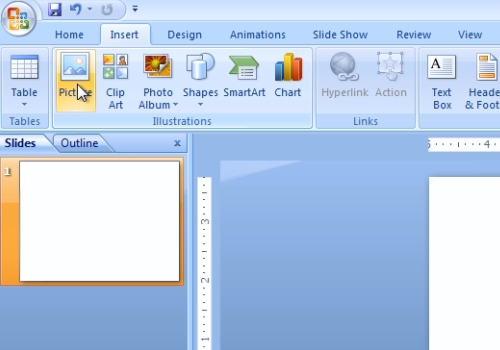 Click on the rectangles borders and press the “Delete” key to remove the rectangles. Go to the “Insert” tab. Click on the “Picture”. Choose the image you want to edit and press “Insert”. Adjust the size and position of the image with your mouse. Go to the “Design” tab. Select the design type you wish to apply. Then, press the “Office” button, move the mouse on “Save As” and choose “PowerPoint Presentation”. Save your file on the hard drive.